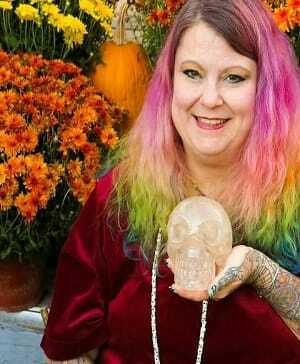 Jennifer Wood has been a Tarot Reader for twenty five years. She is also a Crystal Healer, Reiki Master Teacher, Archangel Reiki Crystal Healing Master Teacher, Magnified Healing Master Teacher, Paranormal Investigator and offers a line of Reiki charged rock quartz crystal, gemstone and pearl wire wrapped jewelry, Crystal Cocktails by Jennifer Wood, of which she is the designer and the maker. She loves to publicly speak on metaphysical topics when invited to.